Shipharh and Puah, the two Hebrew midwives, who defied Pharoah’s orders to kill all Hebrew baby boys and actually hid and saved them. 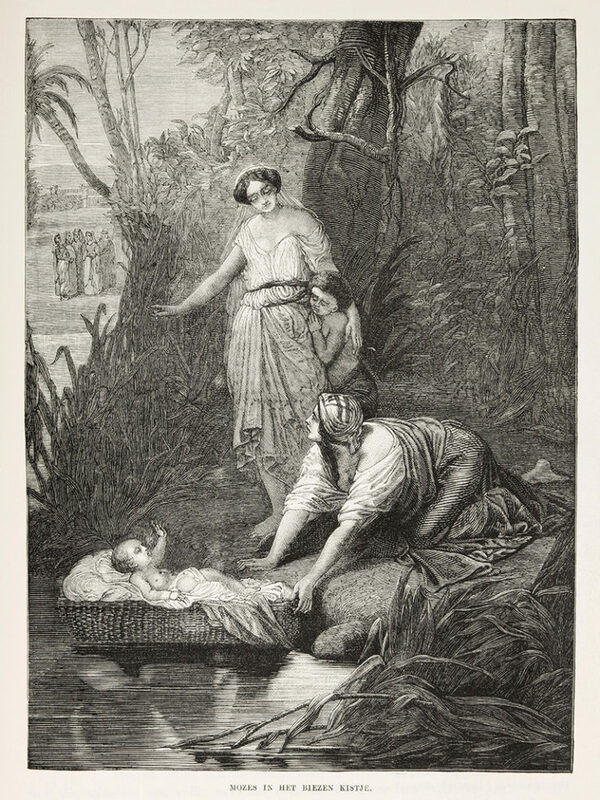 Yocheved, Moses’ mother, who hid baby Moses for three months from the Egyptians, and built a miniature Ark (Teyvat) to float the baby to safety. Bit Ya, Pharaoh’s daughter who boldly ignored her father’s decree to kill all Hebrew baby boys, and she found Moses’ Ark (Basket) floating in the Nile. Exodus 2:6, p. 114 “She took pity on it and said, “This must be a Hebrew Child” and then she named the baby boy Moses and raised him in the Palace.” No one knows Moses’ real name. The only name for Moses that we know (To Draw Out), is the name that Pharaoh’s Daughter named the baby boy. According to legend, Bitya never died. She joined a small and celebrated group who ascended to heaven while still alive. Miriam, Moses’ sister who arranged for Moses’ own birth mother Yocheved to serve as Moses’ nurse in the Palace. Miriam later became the first prophetess.